This stunning contemporary design of the Coolum by Bella Qld Properties at High Park, Wynnum West, is the ultimate expression of Luxury in this desirable location. 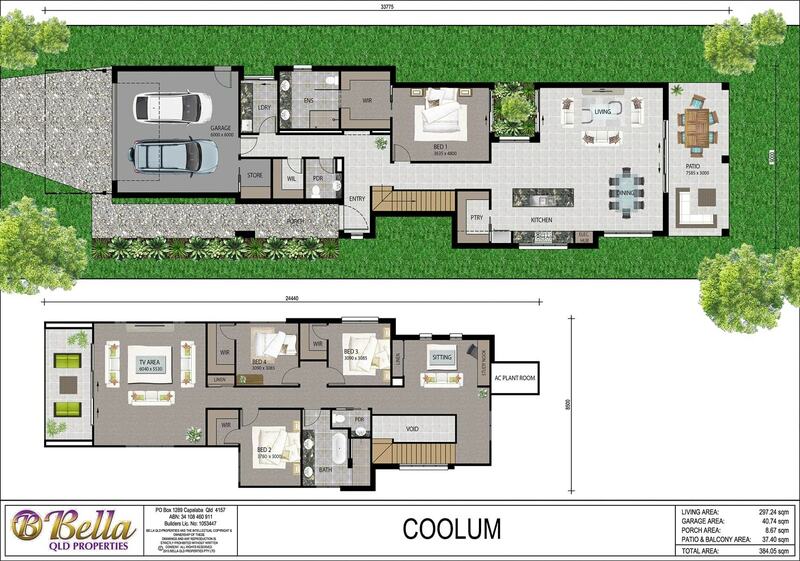 Review the 3D walkthrough, to appreciate what this 384 m2 luxury home has to offer. This home is able to be modified to meet your specific requirements. This Home and Land Package is competitively priced at $987,500.00 subject to soil test and site works. HIGH PARK by Turrisi Properties is a limited release of 27 elevated level homesites, high off Crawford Road overlooking manicured Estate parkland, only minutes from Wynnum Plaza shopping, Iona and Moreton Bay Colleges and the leisure time excitement of nearby Moreton Bay.